LDD provides state of the art site assessment and remediation technologies for ex-situ, in-situ and on-site rehabilitation projects. LDD holds a wide portfolio of proven technologies that have either been either developed in-house or carefully adopted in order to provide our clients with cutting edge and cost-effective technologies that fit their needs. LDD’s world class in-depth knowledge of the science behind microbial degradation of organic pollutants allows us to utilize engineering and biology to maximize biodegradation efficacies. LDD cooperates with international corporations and research institutions in order to provide a variety of technologies in accordance with the unique needs of every site. The connections with leading companies in their respective fields enables us to offer efficient, customized, and technological solutions for every type of contamination while refraining from budget deviations. 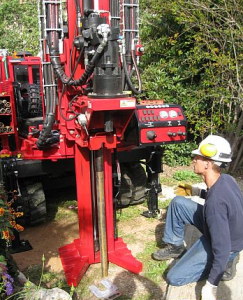 As part of its commitment to high quality solutions LDD represent different international manufacturers and offer a diverse portfolio of products, materials and technology applications for soil and groundwater sampling, analysis and remediation.